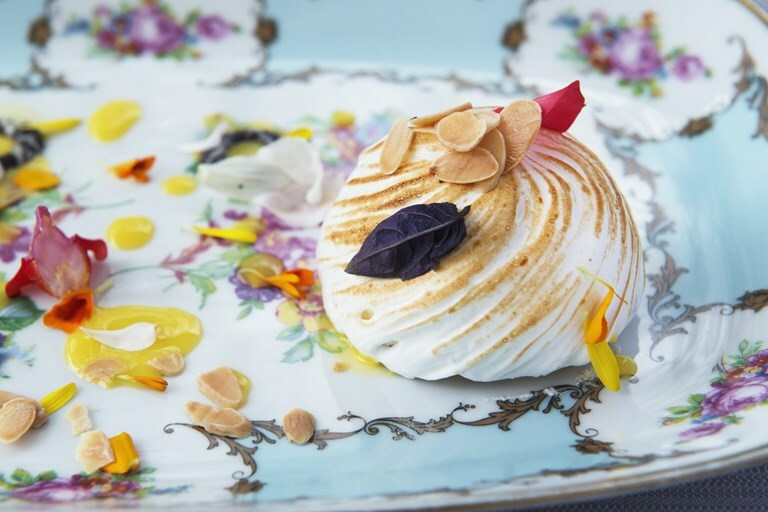 This delicious, whimsically named dessert from Marianna Vitale combines classic Italian meringue with semi freddo and almonds. The mixture of half icing sugar and half ground almonds used in the almond biscuits is known as a TPT - tant pour tant. By choosing to cook with simple, humble ingredients and adding her own twist to classic dishes, Marianna Vitale has managed to turn her quiet suburban restaurant into a Mecca for inventive, modern cuisine.